Market share figures for 2015 are out, revealing where the titans of tech currently rank. 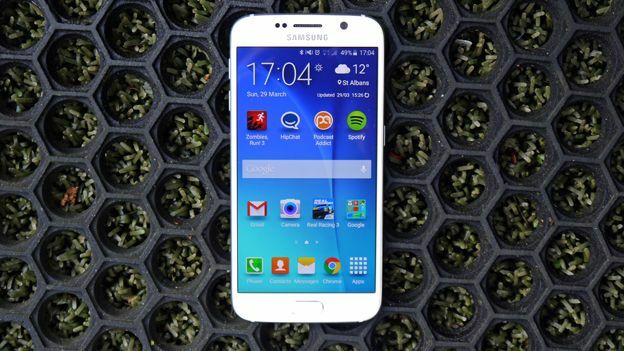 The big news is that the Galaxy S6 has managed to keep Samsung in first place – take that Apple. Market research firm TrendForce has released its final numbers for the first quarter of 2015, showing that Samsung tops the charts as the world's leading smartphone brand. Samsung reportedly leads with 27.8 per cent of the smartphone market, while Apple trails in second place with 19.9 per cent. According to market analysts, the South Korean firm's successful run is down to the new Samsung Galaxy S6 and Samsung Galaxy S6 Edge. While the Edge's curvaceous screen was largely tipped as a gimmick before release, it's been received well and made it stand out amongst the current smartphone line-up. The Samsung duo show no signs of slowing down either, with TrendForce predicting that over 20 million units will be shifted during the second quarter. Apple isn't too far behind though, with the iPhone 6 and iPhone 6 Plus still flying off the shelves. The folks at Cupertino have done a grand job, having sold more than 55 million of them during the last quarter alone. One of the reasons it's done so well is China. Apple established itself in the nation during Q1 as the most popular brand, overtaking Lenovo which has seen a quarterly decline of over 20 per cent between Q4 2014 and Q1 2015. In fact Huawei and LG now top Lenovo in the charts, with each company managing to flog around 20 million and 18 million handsets during Q1.